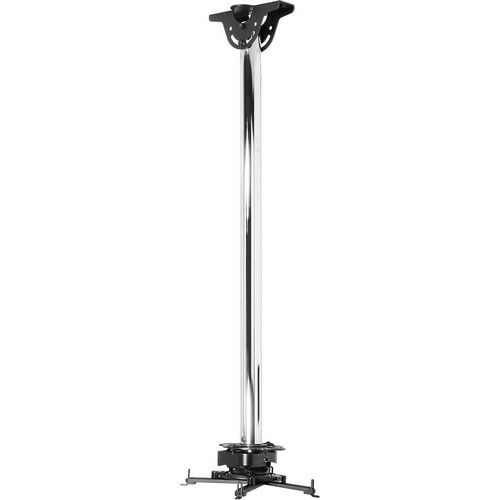 The chrome The MOD-PRSSKIT150 Modular Series PRSS Projector Mount Ceiling Kit from Peerless Industries includes all of the components required to mount a projector from the ceiling. 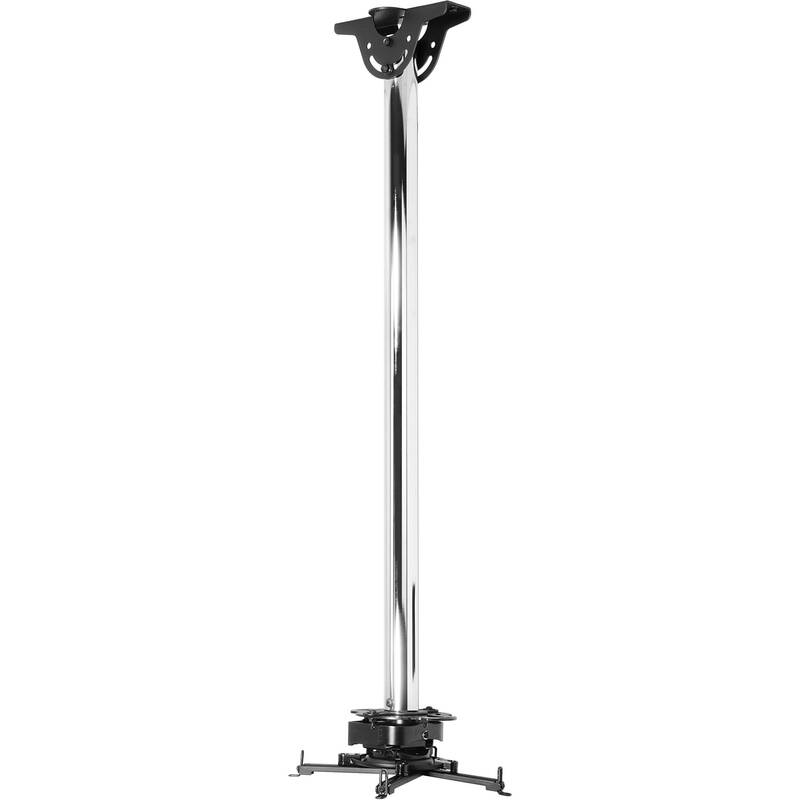 It is designed around a 2" diameter extension pole with drops of 59" in height. Lastly, it can be expanded with additional accessories (sold separately) to accommodate virtually any custom configuration. Box Dimensions (LxWxH) 62.5 x 12.5 x 5.5"
MOD-PRSSKIT150 Modular Series PRSS Projector Mount Ceiling Kit (Chrome) is rated 5.0 out of 5 by 1. Rated 5 out of 5 by Anonymous from Works for Us, light and easy on the eye. Was a fairly easy to put together, we liked the top mount, made it easy to secure. It is lightweight too which helps where we ended up installing it.